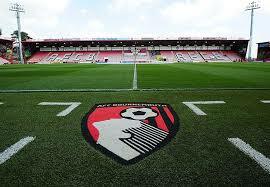 January 30 – Russian businessman Maxim Demin has regained full ownership of Premier League club Bournemouth after acquiring the 25% stake held by Chicago-based private equity firm Peak6 Investments. In 2015, Demin sold a 25% stake in the club to Peak6 Investments, an American private equity firm, but the Russian businessman has now regained ownership of that share. The Russian first acquired a 50% stake in Bournemouth in 2011 before he secured full control two years later. No value was given for the share acquisition. The Cherries are playing in their fourth successive Premier League season, sitting 12th in the table at the moment. Their fairytale rise through the pyramid of English football following near extinction in 2009 has been accomplished through the apt management of coach Eddie How, the financial backing of local businesses and fans, and the overarching solidity that Denim has provided since 2011. Since Denim’s full takeover, Bournemouth have not just looked at solidifying their position in the top tiers of the English game, but the club has repeatedly tried to roll out ambitious stadium plans. In July 2017 Bournemouth revealed initial plans for a new stadium on the Kings Park site that is “befitting of a Premier League club”, but they have admitted that proposals to move into a new stadium by the summer of 2020 were too optimistic. The club’s Vitality Stadium is the smallest ground in the Premier League with a capacity of only 11,464.